The individual needs of a workspace are met with the comforts of leather. Designed for life's varying sizes, the Big and Tall Leather Chair provides a luxurious seating experience in any working environment. The chair is especially designed for the big and tall person, with a weight capacity of 500 lbs. 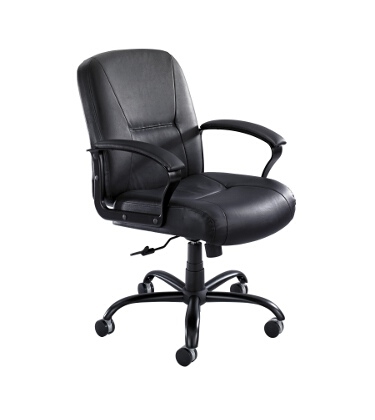 The Big and Tall Leather Chair features a swivel seat with pneumatic height adjustment, tilt lock, and tilt tension on a 5-star, oversized base. It's the perfect solution for every unique work environment.